With over 3,000 real estate transactions under our belts we can help you sell your house no matter the situation. If you have ever tried selling a home then you know it’s not easy. The process can take months, involve you putting money into your house before listing it, and working with a realtor to find the right buyer at the right price. Selling your home is even more stressful when you need to sell it fast. If you are looking to sell your Baltimore house fast, then talk with us at CR of Maryland LLC. We are house buying experts who have helped families, just like yourself, sell their house fast. We have been in business for several years and know a thing or two about real estate. 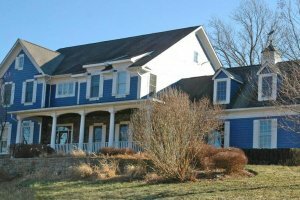 We are a small team of local investors who are experts at finding a win-win solution for your unique house selling situation. “I was referred to Craig by a close friend of mine who also sold CR their home. They felt he was fair, honest, and helped them get a good deal on their sale. I couldn’t agree more and I will continue to recommend him to all my friends.